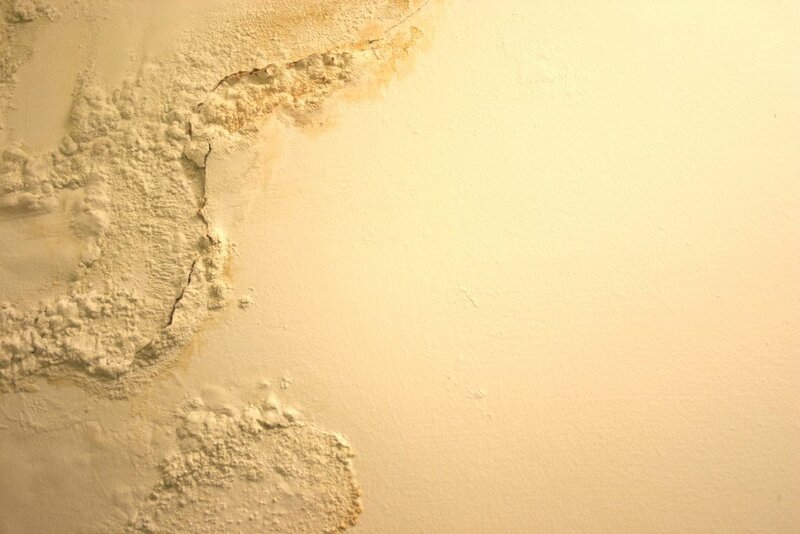 Cotswold Treatments uses its expertise to identify the type(s) of damp being experienced within a property. This type of damp is probably the most common, rising damp is the common term used to describe the slow upward motion of moisture within the lower part of buildings, sometimes referred to as capillary action, rising damp will only reach a height of 1.5 metres due to this upward action, a common sign is a “tide mark” on the wall(s) of a building. These types of damp are also very common, penetrating and laterally penetrating damp refers to moisture that penetrates laterally through the fabric of a structure from the outside from causes such as faulty render and overflowing guttering. South west facing walls which suffer the worst of all weathers are sometimes more prone to laterally penetrating damp, some signs of penetrating and laterally penetrating damp are, damp staining, decoration failure and salt formation on the walls. Descending damp is moisture entering a building via external defects often associated with roof line problems such as faulty flashings, broken or missing tiles, or faulty rain water goods etc.